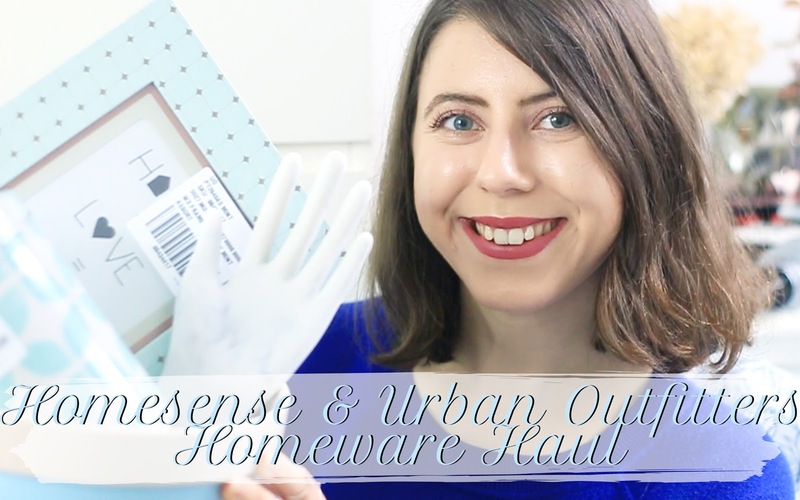 I’ve been haulin’, I’ve been haulin’….and man is it good to do a haul – just collectively having all your new purchases taking up the only available floor space whilst you film is crazy, but homewares are some of my favourite things. I don’t know whether it’s age or just a need for more candles (always) but I love adding pieces to my basket to decorate my space, so it feels a bit more me and radiates as much blue as humanly possible. I am officially the blue girl of the blog world, I’m calling it now. But anyway, I’ve been hauling some special and gorgeous interiors from Homesense (the best place on Earth) and Urban Outfitters to get my room in ship-shape and maaaaaan have both been delivering recently! This may possibly be part one of many upcoming hauls and I’m doing some re-jigging with my space so look forward to a few more of those on the channel, but for now, sit back with a cuppa (or hot chocolate such as this one) and enjoy my blue themed interiors and homeware video for some home inspiration! You can’t go wrong with some home hauling, there’s always a new candle to buy (or microfibre cloth if you’re excited over that kinda thing) and you can be rest assured some more awesome home based things will be coming your way soon….